The Cardio cam mirror provides the idol method of keeping track of our heart’s health, by keeping away those wires and electrodes. It is developed by students at MIT and made its appearance at the SIGGRAPH 2011 Emerging Technologies program. 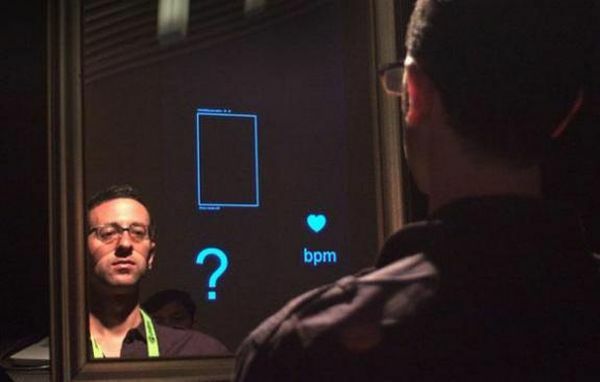 Actually this device is not less than a magical mirror, as it directly records the heart rates of the person standing in front of it and displays the same on its surface. Well, the magic behind this heart beat checking device is not so complicated; it simply records the change in the skin tone, which occurs due to the flow of blood to the facial capillaries with our each and every heart beat. And this all is recorded with the camera fitted on the top of the mirror for the further leads to the advanced signals that establishes a baseline resting heart rate of the users. This is actually the best way of keeping track of your health and in case of any abnormal circumstance; doctors can be consulted and the patient can go in for further treatment. Till then the users can check their heart rates at their homes and can adopt healthy habits to remain fit. 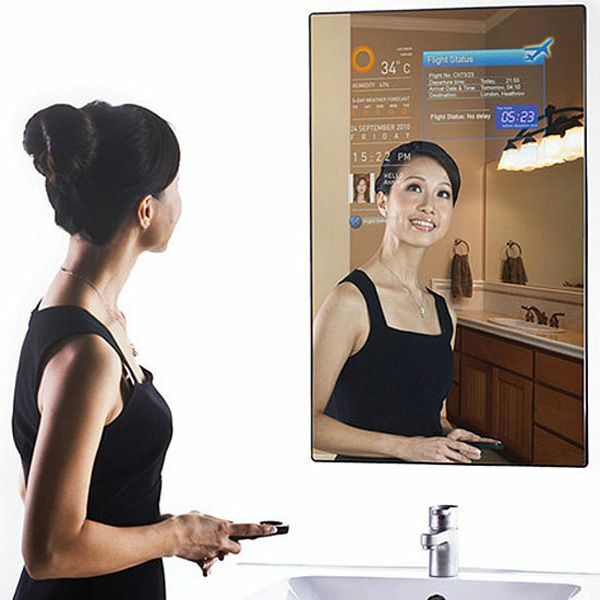 Cybertecture mirror, designed by James Law, to be fitted into your bathroom, which connects to cloud-based digital profile, keeps you updated with the current information, like weather forecast and flight information. It has an 800 x 500mm reflective glass surface which hides the internet connected computing device. This mirror has a complete fog resistance glass which is accuintance with the info graphic display and also has stereo speakers. Now we can keep ourselves updated by the latest news while doing make up or even at the time of brushing our teeth. Well, this mirror can be pre-ordered in December with the cost at around $7,700, but it will be shipped in June 2012, so you’ll have to wait till then. Ming-Zher Poh will soon reveal the mirror that monitors vital signs and shows the inner health of the person standing in front of it. When the heart beats, it sends a pulse of blood through the blood vessels. The mirror uses a simple webcam that is used in almost every computer or smartphone for recording the fluctuation in reflected light and that that data is translated to the heart-rate reading by an algorithm. 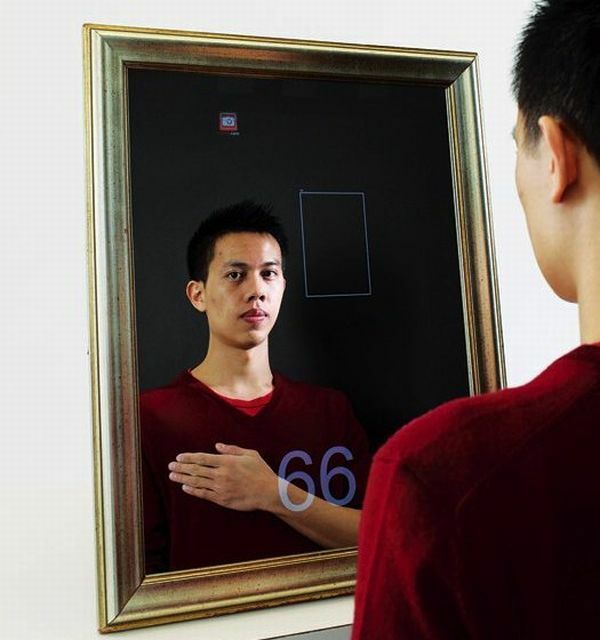 According to Poh this mirror can be used to measure other vitals as well, such as respiratory rate and blood-oxygen saturation, which would broaden this concept. Moreover, this can be used by doctors for checking vital signs of burn victims or babies with convenience. 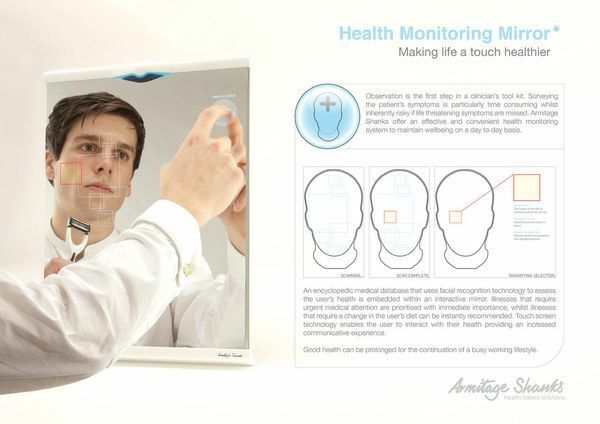 This new concept of keeping track of personal health is brought to us by Armitage Shanks; this uses facial recognition technology to access the user’s health, with embedded tech within the interactive mirror. Illnesses that require medical attention are shown with high importance and high priority and instant treatment is recommended. This touchscreen mirror lets users keep proper check of their health in a more interactive manner. This mirror actually shows us the state of our well being and assists in timely checkups and treatments.